Thank you for visiting our website. Please read through our terms and conditions below. You may print and save a copy for your reference. All orders must be pre-paid prior to shipment. We accept major credit cards (VISA, MASTERCARD, AMEX, DISCOVER)and bank wire transfer. You will be asked to confirm your details before proceeding to the payment page. If you need to make changes following the completion of payment contact our Support team. We can be contacted by phone, email, live chat and fax during our business hours from Monday to Saturday 9:00 am to 9:00 pm EST. Any messages received beyond office hours will be answered as soon as possible when we resume. The cost of each Dr. Scabies® products. The price also includes Shipping fees. The merchandise cost and shipping fees are subject to change. The manufacturers of the Dr. Scabies® products we carry are all GMP-compliant in terms of manufacturing facilities and operations. We ensure that the Dr. Scabies® formula is consistent in every finished product. 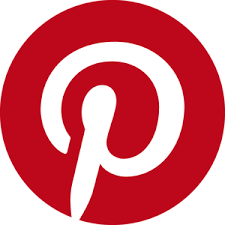 Our goal is to send out your order(s) as soon as practically possible when they come in. You are entitled to be refunded or credited if we fail to deliver on time. For more information on Shipping Rules and Restrictions, see available Shipping Information below. If we cannot deliver the product you order, for any reason, we will contact you and give you the option to cancel and receive a refund or accept a substitute item. Most orders for in-stock items begin the order process as soon as the online purchase is completed within the cutoff time. Your in-stock item will be shipped once the item is located, your payment is approved and the receiving address is verified. After your order leaves our warehouse, delivery times vary according to the shipping method you selected during checkout and the location of your shipping address. Please note that business days are Monday-Friday, excluding federal holidays within the United States. Backordered or advanced sale items are items that are not yet in stock, but available for advanced purchase on our site. A backordered item is shipped directly to you once it is in stock. You will be notified of the status of your backordered item via email. Expected shipment time (for example, “advanced sale: buy now for shipping in 4-6 weeks”) is indicated on the product detail page. After your order leaves our warehouse, delivery times vary according to the shipping method you select during checkout and the location of your shipping address. All Dr. Scabies® products we carry are compliant with Good Manufacturing Practices (GMP) and U.S. FDA standards in terms of ingredients, formulas, facilities and operations. We ensure that the Dr. Scabies® formula is consistent in every finished product. Dr. Scabies always believe that the world should be scabies-free and that premium homeopathic products should always be available and accessible in every home. 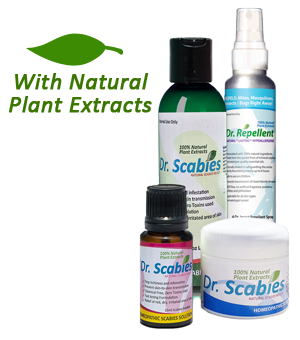 Dr. Scabies Products are shipped domestically within USA, Canada, Australia and United Kingdom. We also ship internationally. The timely delivery of your order is one of our priorities so we make sure that you get the fastest and the best shipping prices. It’s only at Dr. Scabies where shipping charges are shared with the customer. We will never make money on shipping. As we grow, our shipping costs will come down and that savings will be passed directly on to you, our valued customers. For more information on Shipping Rules and Restrictions, see available Shipping Information below. If we cannot deliver the product you ordered, for any reason, we will contact you and give you the option to cancel and receive a refund or accept a substitute item. Please refer to the following shipping options below. Each shipping option has its own restrictions and charges that will be applied to your order. Generally, you will have the option of upgrading your shipping method for faster delivery. If you choose to upgrade your shipping method to express or overnight, your order must be received and clear credit authorization before cut-off time or your order may not be processed until the following business day. Business days are Monday-Friday, excluding national holidays. Mail delivery times depend on what service you use to send your item, its origin and where it’s going. See below for a list of expected delivery timeframes for our domestic standard, express and overnight services. Orders are delivered within promised delivery dates provided that the orders were placed before 11 AM Eastern Time from Monday to Friday only. Overnight and Express orders are delivered via FedEX® to physical addresses only. Express orders may ship via FedEX® Express Delivery depending on the availability of forwarding facilities in your area. Overnight and Express orders entered after the cut-off time will ship next day. Exceptions to this would be a holiday weekend and during the Christmas season. Please provide physical address to avoid delay. Our default shipping method: USPS First Class Mail service, covers all states of USA, PO Box, FPO and APO Addresses and offers delivery within 4-10 business days depending on the availability of USPS forwarding facilities. Ground orders will normally ship within 48hrs. Exceptions to this would be a holiday weekend and during the Christmas season. Dr. Scabies® also protects both the company and consumers. This will encourage you to have confidence in buying online. All our customers are entitled to 100% Money-back Guarantee; your satisfaction is our no.1 priority. We will provide a refund for the product within 30 days of purchase. As much as possible, you must return the item/s, unopened or at least in its original packaging to us to the address given on the Returns and Exchanges page. For cancellations of orders, orders cannot be cancelled if the warehouse has shipped it and are en route to destination. The customer will pay the costs of returning the item/s to us if the order has been received (by Recorded delivery post). If the goods are faulty, we will fully refund your money or offer a replacement and we will pay the cost of returning the product to us. You have a statutory duty of care for all goods while in your possession and you must take reasonable care when returning goods. Non-compliance to our requirements may affect your right to cancel and a refund. ALL claims for MISSING ITEMS, DAMAGES and CUSTOMER SERVICE ERRORS must be made within 24 hours of the date of delivery. 1. Any appearance of new burrows after completing the treatment is indicative of need for further therapy, although in re-infection symptoms of itching may recur before typical burrows have developed. 2. Itching persisting more than 2 weeks after treatment may reflect treatment failure, re-infection or allergic reaction to Dr. Scabies products. If your self-assessment of treatment fell short in any of the important components of Scabies Control and Management, please consider continuing the treatment or start a re-treatment. Treating scabies is challenging but possible. Take few steps back and review what you have done so far and correct it. In the event that you are not satisfied with the products for any reason, please review our Refund Policy. Prior to returning any Goods to the Company for any reason, the Customer must contact the Company to obtain a returns authorization number (‘RMA’). All Goods are returned at the Customer’s risk and expense except when it is an error in manufacturing, shipping, packing or customer service. The Customer is responsible for returning Goods to the Company and providing proof of delivery of such return. All Returns must be acknowledged by Shipping and Billing Department. NO CREDIT WILL BE GIVEN UNTIL PRODUCTS ARE RECEIVED AT THE WAREHOUSE. Item should be returned to the company within 30 days from despatch date. Shipping and Handling Fees are Non Refundable. For orders which were shipped free (via standard shipping), an amount of $9.95 will be deducted from the invoice value of goods. Unopened items are entitled to full merchandise refund. Any Goods returned that are opened or used (within the 30-day money back guarantee), will be subjected to a minimum restocking fee of 20% of the invoice value of the Goods. 1. Fill up the Returns Form or Contact Dr. Scabies® Customer Service Dept. at 1-844-SCABIES (722-2437) option 2 to obtain a Return Merchandise Authorization (RMA). 2. Return the authorized item(s) per shipping instructions. Each returned item MUST be independently listed on this form. 4. For all merchandise returned to Dr. Scabies® shipping costs will be deducted from the credit or refund.